Before I say anything about the stories inside, it needs to be stressed that Art of War is, in fact, an Anthology for Charity with all proceeds going to MSF (Doctors Without Borders). That alone makes it a must-purchase, and the 40 authors inside make it a must-read. 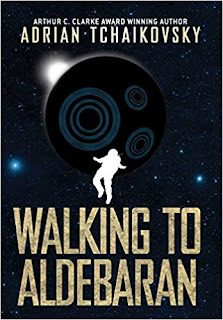 Petros Triantafyllou has gathered an impressive amount of talent here, mixing best-selling authors you already know and love with smaller press authors you're going to want to read more of. Rather than comment on every story and potentially taint reader opinions of the (very) few stories that didn't work for me, I just want to touch on some of my favorites - most of which won't be a surprise. First up is The Breaking of the Sky, in which Ed McDonald shares a fantastic prequel story to his Raven's Mark saga, an atmospheric slice of fantasy that ends (quite literally) with a bang. Dear Menelaus was an interesting surprise, a nice bit of Greek mythology with Laura M. Hughes penning a letter to Menelaus, from Helen, about his invasion of Troy - clever, creative, and thoughtful too. Warborn is a story that I was looking forward to, and C.T. Phipps did not disappoint in a violent, cruel, darkly amusing tale of demon summoning and double crosses. The Fox and the Bowman isn't a Greatcoats tale, which saddens me a bit, but it is another phenomenal piece of fiction from Sebastien de Castell that kind of fast-forwards a tale of revenge through cursed visions that turn out to be memories - and the final twist is perfect. As the title suggests, The Two Faces of War offers up two intertwined stories, with Rob J. Hayes contrasting two veterans looking back on war with a young man beginning his journey to experience. I liked the telling of this almost as much as I liked the stories themselves. 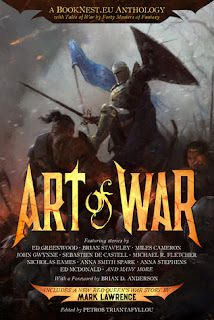 What can I say about The Art of War by Brian Staveley, other than WOW - how anyone can build such depth of character, and establish such empathy, while weaving the story behind the story you expect, is really beyond me. All you really need to know about The Undying Lands is that it's credited to "the combined efforts of Michael R. Fletcher’s Doppels" and it is just as much grim, mad, manic fun as you would expect of his Manifest Delusions. The Storm is a story that really reminded me I need to read Miles Cameron's Traitor Son Cycle - he has such a crisp, historically suitable style, and somehow makes an endless siege (and an almost endless story) fantastically entertaining. Rendered Chaos was one of the stories that has me adding a new author to the TBR pile, with D. M. Murray somehow making a complete scoundrel likable, sending a painter to war in an amusing, completely engrossing tale. 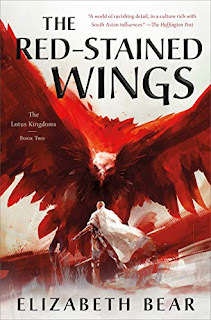 The Hero of Aral Pass is a fitting story on which to end the anthology, with Mark Lawrence offering up an epilogue to his Red Queen’s War trilogy, picking up on the tale of the man who once declared that “To war is human. To run away is sublime." Ultimately, Art of War is as much about the art of capturing war as it is about the art of waging war. It's not preachy or heavy handed, and does have some great stories that demand you cheer for the wholesale slaughter of your enemies, but far more often we see that war is ugly and cruel - as, of course, it is. 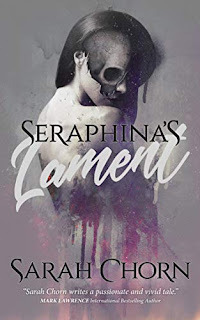 With a Kindle price of about 18 cents a story, you really have no excuse not to check this out, spend some time with your favorite authors, and get to know some new ones, all while supporting a great cause. The lists of authors that they were able to bring together for this book is simply astounding.